creative savv: Which would you choose? 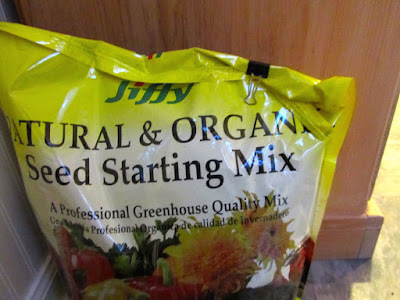 Shopping for seed-starting, potting soil, I came across a super well-known, name-brand, in an 8 qt. 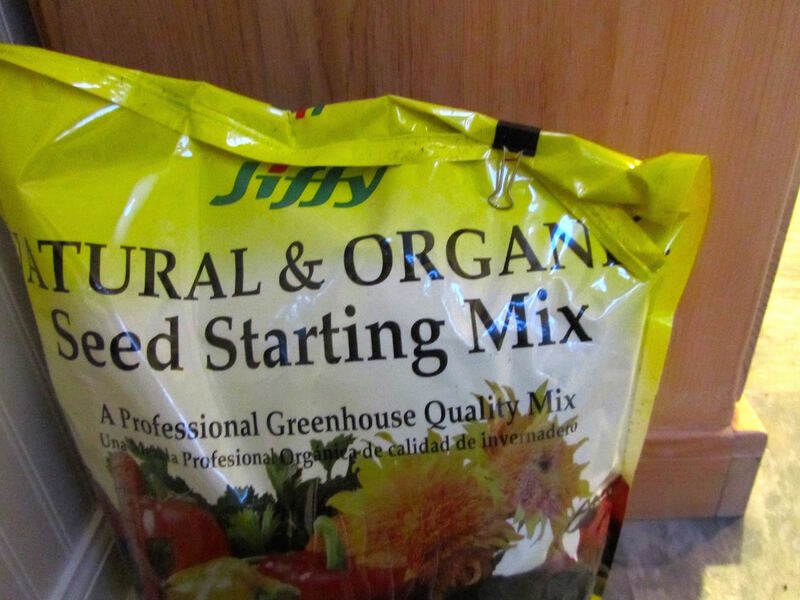 bag, for about a dollar more than the lesser-known brand of soil, in a 12-qt. bag. The 8-qt. bag came with a built-in zipper on the top of the bag. The 12-qt. didn't. For a savings of $1, and 4 extra qts. of soil, I think I'll use a clip from my desk, and seal the bag myself. If I was an extremely clumsy person and knocked things over a lot, then the built-in zipper would come in handy. Or, if I knew I wouldn't use all of the soil this season, again the built-in zipper might be the better option. But then again, I could always use a 5 cent strip of duct tape to seal the bag shut. Sometimes, I think we pay way too much for the name and extra conveniences. By the way, Home Depot didn't have these bags on the shelf with the "big-name" brand, but off to the side, in a large cardboard box. It pays to look around for those seasonal items which aren't part of the regular stock. I would have bought the larger bag, too! Especially because I often find that those zippers can tear really easily, leaving me with a bigger hole to seal than if I had just cut a corner myself. They drive me especially crazy on some food items like raisins and nuts that I buy in large bags from our warehouse store. I just store them in sealed containers, but it annoys me because the perceived "convenience" is actually not really one at all! Some packages seem to be "built" better than others. My large bags of Ocean Spray dried cranberries come in really good zippered bags. I've been able to reuse those bags in the freezer. But I've had other bags where the zipper completely separates from the main bag. Not much of a convenience, then! I on the other hand have found the zippers on food items a really welcome innovation. I'm with you on this one. Four quarts of free soil, Thank You VERY Much! Yes, I'll take extra product for less money, over a zipper any day! Like Laura (lol my name too), I don't like or trust those convenience zip tops that come on packages these days. They're not made very well, especially the perforation above the zip. If you tear on that, good luck, you might yank the zip out too. So I have to get the scissors and cut on the perforated line. The worst was Costco's Ziploc brand...would you believe the entire zip tears out? I discovered it too late, years after the purchase, so no return I assumed. That took my confidence out on name brand, so now I buy any brand that is cheaper and try at least once. I like CVS's Total Home ziploc bags, because they've outlasted Ziploc. To test the air proofness I pillow the ziplocs shut and squeeze. If air leaks out, I don't reuse for storing in the freezer, but use for other purposes that don't need airtight. However, that said, I do appreciate the zipper on those smaller quanitity chicken manure bags which we bought from Kmart on clearance. How frustrating to buy Costco's ziploc only to have it tear badly, and feel it's too late for a refund! Good way to check for leaks. I check when I'm washing them out. If I find a leaky one, it goes into a drawer to be used for sandwiches and popcorn. The good ones get tucked back into the original box. Sturdier bags are worth the money, IMO. They're less likely to get hole while in the freezer, jumbled about as they do when I'm rummaging for something. I would have gotten the one you did. And I nearly missed that brand, as they were off to the side in a large cardboard box! Glad I did a little looking around! Home Depot. I have about $10.00 on a gift card. I want to grow some edibles on the patio. I would choose the no name brand. I'm with everyone else. I usually find those convenience zippers don't work so well, and I'd be just as happy if they weren't there.